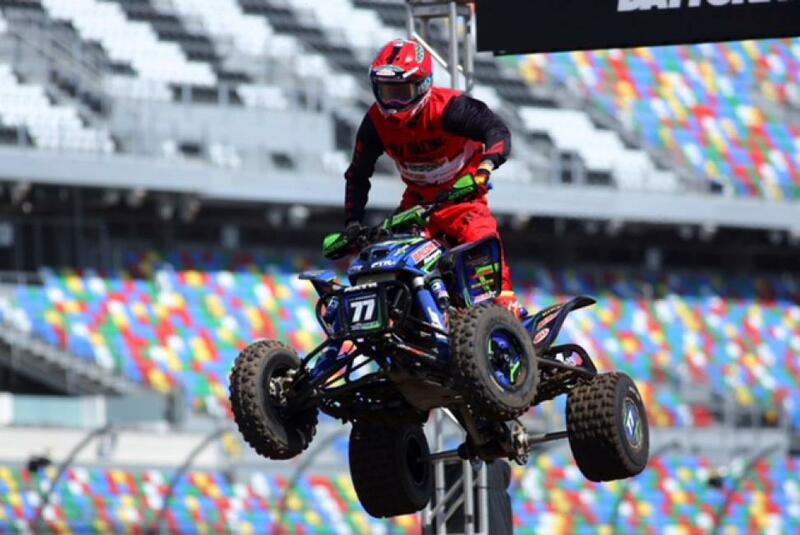 Kevin Lenz, Nick Moser and Sam Rowe kicked off the AMA ATV National Championship at Daytona International Speedway. They are racing for Kyler Lenz Motorsports, which was named in honor of the young racer who lost his life in a racing incident last July. After losing their son, Kevin and Nicole Lenz wanted to do something to honor him in a way that gave back to racing. Kevin Lenz sat down with Rowe and Moser and came up with a plan to build the new team late last year and it came to fruition at the season opener in Daytona. Kevin Lenz is making good on a promise he made to his late son last year. He had decided to come out of retirement this year, so he could race along with his son. Moser, too, has come out of retirement after a two-year hiatus and is competing in the 25+ Class. After wrenching last season, he felt a need to honor Kyler Lenz and said he was privileged to get the chance this year. Moser proved he hadn’t forgotten how to ride as he dominated the class. He set the fast time in practice, qualified first, won his heat, snagged the holeshot in the main and took the victory. Rowe is the team’s Pro rider this season. After finishing third in his heat, Rowe was moving his way to the front when a mechanical issue took him out of contention just two laps from the finish. Rowe was pleased with his ride, though, and is looking forward to a competitive season. 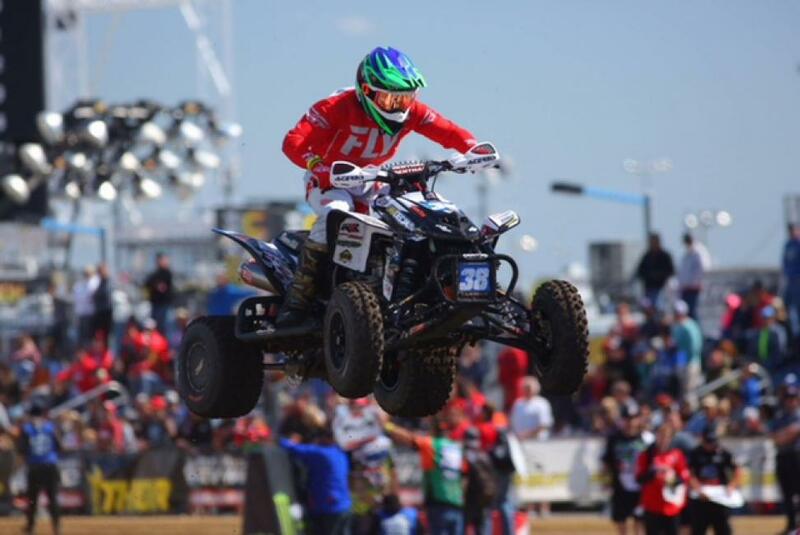 Kyler Lenz Motorsports will return to ATV Motocross competition when the series heads to South of the Border in South Carolina for the second round of competition March 24-25. The team will be sporting matching Bell Helmets customized by Troy Lee Designs to honor Kyler Lenz.